Asceticism, such a strong word. When I think of it I’m reminded of the expression, self-torture. I couldn’t be so wrong! stoically speaking. Asceticism is known in stoicism as “askesis” which simply means: training. Training isn’t self-torture, its practice to become better at something, in this case, virtue. Why is Askesis or asceticism related to self-torture? Change is not easy. Getting out of your comfort zone is definitely not an easy task and it can feel as if it hurts (rejection, failure). To give some examples: Try to talk to a stranger today about Nietzsche or some other philosopher of your preference. Seems silly? It does. But it will stop being so silly when you actually set yourself up to do it. Fear of rejection will kick in and this is just the same for everything that makes you step out of your comfort zone. Change and the betterment of the self can only happen when we stretch out just enough so that we are in territories not known to us previously. Going into what is unknown to us is the hard part. In this sense, askesis can be seen as self-torture because you are making yourself suffer in the way that you are forcing yourself to do something that you don’t like at least in the short-term, to make you better eventually. Practicing the violin or the guitar is easy in the sense that it’s easy to begin practice, you can just grab the guitar and start playing, certainly not well in the beginning but you get the idea. What about virtue? When can you know exactly when are you being virtuous? To give an example, with the violin, you know you’re good when you play a Mozart piece perfectly. Stoicism is different because you are bettering (through askesis) your self (extremely complex), an ever-changing entity. Virtue is the sole good, so we need to do everything in our power to attain it if we want to have the better things life has to offer. We acquire virtue with practice (askesis). So, how does one starts to practice for the betterment of the self? The way in which we usually conduct ourselves is in trying to fit impressions (everything that happens to us) into our prejudices and preconceived beliefs (procrusteanly so). Anything that does not fit our previous expectations, we scorn (or simply are suspicious of). If our aim is to look at things in the face and know them for what they are (objectivity), we cannot try to fit them into something that they are not (our prejudices). We need to practice objectivity. You cannot improve something if you don’t perceive it as real as it is. Because you will not be working with reality but with your beliefs (ego). A completely unscientific approach. There is a technique in phenomenology called the epoche. Epoche is the exercise to see things for what they are and not for what we want them to be. Simply observing what something is, not judging what it is. We must constantly train to achieve mastery of perception, think about what the thing is, don’t judge it. The next time you are stressed about something practice epoche. Every time we see things for what they are, we set ourselves in the better situation to actually resolve whatever problem is in front of us as we will be working with reality and not with what we want reality to be. The correct interpretation is the first step. In ancient times, philosophers didn’t just study philosophy as today. They actively practiced it. They were businessmen as Seneca, slaves as Epictetus or emperors as Marcus Aurelius (writing this last part was deeply satisfying, such different walks of life). Philosophy was not the end in itself but a way of living, better living. Epictetus says that philosophers shouldn’t just be contented to learn, but to practice and train oneself constantly in the real world. Have you ever asked yourself, why do you desire what you desire? The desire for more beer to give an example. Why do we keep drinking (craft IPA) even when we know we’ve had enough? That is irrational behavior (if we aim for self-control and virtue). Do you ever take the time to question your action before acting it? Identifying your flaws is the first step to overcoming them. If you identify your flaws by questioning them you will know in which areas you have to work and develop aversions (a sort of disgust) to the things in yourself that are not making you better. Most things that seem good in the short-term, are almost always prejudicial in the long-term and most things that seem bad in the short-term (like reading instead of watching YouTube) are good in the long-term. Virtue is mostly long-term acting. But, we have to question our desires to know what needs to change. If we don’t do this, our prejudices will be unchallenged and therefore unchanged, Askesis requires change, constant change, and reinvention. We must train our desires for the better. It’s not wrong to have desires; rather, what’s wrong is the bad orientation of the desires. Stoicism requires rationality and thinking (uncommon practices). We must be constantly challenging our beliefs and question anything that goes on around us and affects us in a way. This requires practice (askesis). It is fundamental to practice correct reasoning all the time. Maxims are a great aid. Once we have questioned our beliefs, what is the best course of action to practice virtue then? We might struggle to find the answer. In this moments, some maxims can aid us in figuring it out more easily. Maxims are pre-thought advice that reminds us how to act. That rush of wisdom? Maxims reframe your view of reality. It’s good to read often. By doing so we are constantly reminding ourselves of the practice of virtue and gather information we can use to be better. First, you have to question your motives and then apply virtue to them (or whatever your good judgment deems correct). Writing is an aid to memory. It helps us in reminding us how is it that we are thinking, doing it often lets you study yourself and your development. It is a way of studying the self. Seneca asked this questions and wrote the answers at the end of the day every day. Writing has structure, it is more permanent, and clarifies thoughts. When we write we digest our mind dispositions into more clear thoughts. Now that we know the world for what it is (objectivity), and know what needs to be changed comes the hardest and most essential part. It’s very nice to write about the areas of our life that could be better. It’s equally enjoyable to know that we can change if we want to. The harder and most important part, however, is acting on what we’ve discovered. This is where the idea of self-torture begins to make sense. One thing is writing on paper what needs to be done and another completely different thing is actually performing in real life. Conflict and challenges appear in this part of the askesis. This is where we test our character and discover what needs to be changed, conflict and challenge function as feedback. We use them to put ourselves to the test and grow in the areas that we need to grow and practice more. If something feels difficult, it’s good. It means it is making us grow the most. Facing the difficulty and figuring out how to solve it is what makes us grow (here, thinking is needed). Epictetus says that someone who insults you is your partner by training you in patience, temper, and being gentle. Rejection feels really bad. But why? Aren’t we in control of choosing whether to be harmed or not as Marcus Aurelius said? We are in control, but again this requires askesis. This is why a good exercise is practicing that which we fear at least once a day. Like trying to talk to a handsome or beautiful stranger or any other thing that makes you nervous so you can practice not being scared of it no more (by facing your fears). 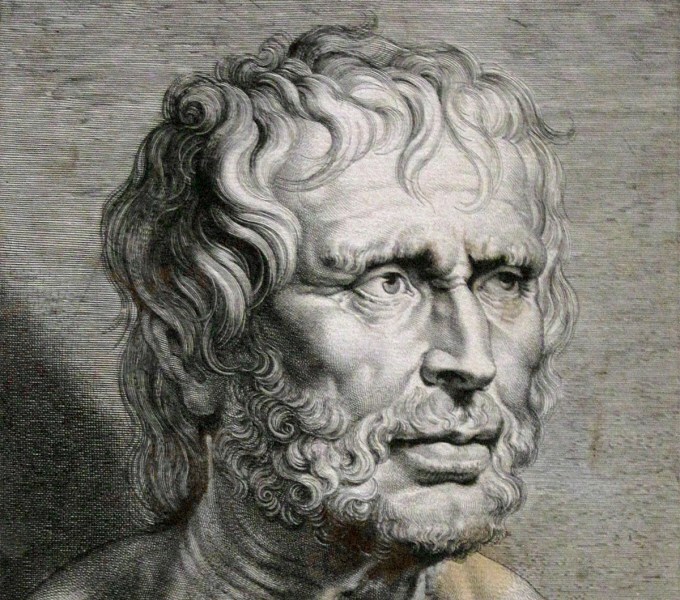 Seneca had the exercise of living in lowly means at least once a month as well, and ask “is this the condition I feared? This too is askesis. There is no downside when practicing anything. If we fail, we just learned an important lesson we can use in the future to be better. Everything is gladly and stoically accepted as it helps us move further. The obstacles show the way, they become the way. We are always preparing for the real situation so that when we do get rejected we are prepared and ready. So, we’ve managed to think first correctly about something and act upon what needs to change. Now we have to be constant to internalize our new better behaviors and correct course if we deviate. Through constancy, we will not only change our behavior, but we’ll basically change our psychology. Slowly, but surely you will become a new self. A more rational and conscious being. Askesis makes us internalize these new ways of being a virtuous person until it becomes who we are inherent. Through constant practice of virtue, you become virtuous. Focus on the process is paramount. The process is the series of activities that you do every day to become what you are striving to become. You need to have aims but not love them, use them as directed. What you will begin to love with constancy is the person you become, the learner. It is not the object itself but what you become by askesis what is enjoyable. Another important stoic lesson is to practice the hardest. The hardest practice is what makes us grow more eventually. Logically, the things that challenge you the most are the ones that need to be taken care of first. Your brain will have to develop new ways to resolve problems and stretch itself for the new harder task. This is so extremely true, the things that you dread the most, are the things that you most need to do, to become better at them, if you are learning a new language and a word is giving you a hard time, you have to concentrate fully on the word that is bugging you the most. The same is true with emotions, the training of emotion is just as any other practice. By analyzing ourselves we can begin to (not repress) but understand emotion and deal with it in the best possible way. This way, power, and control remain conscious and rationale and emotion are not let afar to wreak its havoc. Emotion is very powerful, correctly used. The path of the virtuous life is personal. The teachings from the greats are fantastic and can teach you how to begin the. However, you must not follow blindly what anyone tells you. This is why the journey is personal. Everything that is said must be examined by us and carefully and consciously digested to really understand why something is good or bad for us. Understand what the meaning of anything is. A virtuous person is also an individual. First, you have to understand what stoicism and these teachings are for you and then be a stoic. Stoicism is a timeless philosophy used by some of the greatest people on the planet. Stoic answers are the modern day Stoa, the first place where stoic philosophers got together to talk about how to live life best. Let us help you on your way with stoic answers. Subscribe to our letter. Thanks.